Divorced or separated parents oftentimes face the dilemma of one parent wishing to relocate with their children to another state or country. Obtaining permission from the Courts can be difficult because the Court almost always seeks to minimize the disruption in the child’s life. Boca Raton child relocation attorney Matthew D. Martin has experience representing clients wishing to relocate with their child. 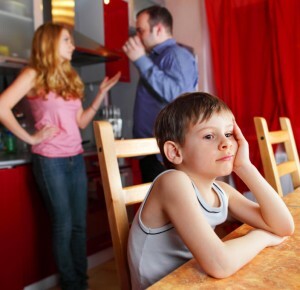 We can also represent parents who oppose the relocation of the other parent, in addition to other family law related matters such as divorce and alimony. Your desire to relocate might not be immediately after your divorce is finalized or parenting plan was entered. But as times pass, situations change. Our firm understands that it may be necessary to obtain a Boca Raton child relocation attorney in order to move on with life after your divorce or separation. Depending on the specific terms of your timesharing order or parenting plan, it may be necessary to obtain Court approval before you can relocate with your children. If you do not wish to live in your geographic area and think a better life awaits you and your children if you were to relocate, contact Boca Raton child relocation attorney Matthew D. Martin. It is possible for both parents to agree to relocating with the children. If this is not possible, our firm works closely with our clients to present the best reasons why the relocation is in the best interest of the children, among the other facts and circumstances that permit relocation under the law. If you are considering moving out of town with your children, please contact Boca Raton child relocation attorney Matthew D. Martin to discuss your options. If you have a definite desire to move out the state or country with your minor child, we can help address relocation issues in addition to the changes that might result in child support or alimony. Many reasons are possible for someone to wish to relocate or move out of state with their children such as remarriage or a change of job. If the parties cannot agree too a relocation, the Court will look to the reasons behind the parent’s moving away including remarriage, change of jobs, and whether a better life exists for the parent and child after relocation. Our firm can also assists with modification of alimony after remarriage and the modification of child support after relocation.